Best Experienced By : A band of boys ! Musicians? Even better. 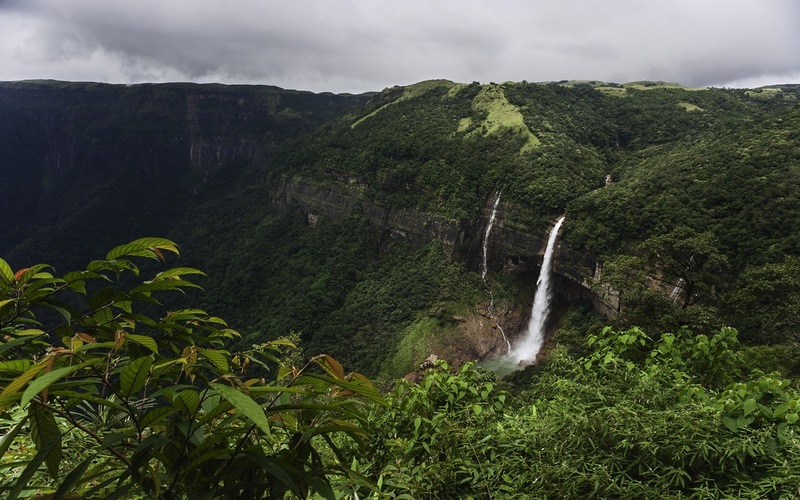 Nature’s generous exuberance is hard to fathom for first timers to Meghalaya. Dotted with centuries-old institutions, gabled roofed homes and church spires peeping over them, the state is also a brilliant showcase of frothy waterfalls, plunging valleys, and crystal clear rivers. It has an abiding music scene at the local cafes. No better time to explore this in the nippy Christmas period when you can drive in Maruti Suzuki Alto through a veil of clouds or be warmed by the festive cafes and the hospitality of the locals. Best Experienced By : Young couples with Kids. Bring your other favourite couple along. Punjab is best known for a stunning countryside, ‘true from the heart’ hospitality, and a vibrant culture of music, dance and delicious food. Trees in the farms of Punjab stoop with robust produce of fruits, and mustard fields stretch to the horizon on both sides of the roads. Then there is always the draw of the soothing Golden Temple, where thousands walk through the doors each day and yet there is a strong calming vibe to it. But on this trip with Maruti Suzuki Alto, it’s time to immerse in the festive spirit of Lohri, along with all the other local experiences of the state. Best Experienced By : Cousins who know how to notch up the fun together. Maharashtra is blessed with nature’s bounty. And it is even more partial to those who like the sea, as it offers a long coastline to explore. This is perfect for a road journey in Maruti Suzuki Alto, for those who are enamoured by the ebbing waves and bright sunny days. On this trip, you get to wheel along from Pune, to the dream-like views of Harihareshwar, and then go on to explore Ganpati Pule and Tarkarli. Water sports (snorkeling, parasailing, jet skiing and more) in the day for some adrenaline pumping action with orange sky sunsets to unwind in the evening, add to the charm of Maharashtra. Best Experienced By : Guys and girls who need a break from work!. Are you the kind that veers off to offbeat places? Then the lush Eastern Ghats with steel grey tarmac sinuously cutting through the hills are for you. The valley is one of the oldest tribal enclaves of India. Amongst driving in Maruti Suzuki Alto around Araku Valley, roaming the lush organic coffee plantations and treading the impressive cave system at Borra, top the list. Araku is a short 100+km drive from the coastal city of Vizag, making it an ideal getaway from the city. Best Experienced By : Couple who needs a romantic start to their life together. There is no doubt that Kerala is one of the flag bearers of India’s diverse and remarkable cultural offerings. From beaches to backwaters to forests to hills, it has so much of nature’s bounty on display that it is difficult to experience it all even in a month. So we’ve chosen the lesser-known but gorgeous locales for this trip - a truly refreshing part of the state, which rejuvenates the mind, body and soul. A backdrop of a million shades of green, languid backwaters, infused with local cuisine and rich folk art makes for an exclusive romantic trip in Maruti Suzuki Alto for two. Best Experienced By : All girls' gang who are partial to bright colours. ‘Otherworldly’ might be a pretty accurate definition of the Rann of Kutch. Raw, ethereal saltpans that stretch as far as your eyes can see are home to numerous wild inhabitants. Additionally, what adds a splash of colour to the white crackling carpet, is hamlets of indigenous tribes. The Rann comes alive in the winters with the annual Rann Utsav, and is best timed with the full moon night when the Rann looks splendid in the white light. This festival is a brilliant showcase of the region’s culture with tasteful displays of music, dances, cuisines and crafts. Sounds like the perfect backdrop for a trip in a Maruti Suzuki Alto with a group of friends, doesn’t it?